The award-winning 2017 Honda Accord turns 40 this year and, as always, it gives us a lot to celebrate. The Hybrid returns from its short hiatus with a round of updates and the new Sports Special Edition of the sedan will wow shoppers looking for a car with a little edge. 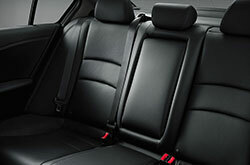 The Accord comes in a variety of trims and styles, making it one of the more customizable vehicles on the market. Whether you need a reliable family car or are looking for a sophisticated ride at an affordable price, we recommend you test drive a 2017 Honda Accord in Phoenix today! The 2017 Honda Accord is easily recognizable with its unique, handsome body and sleek front-end design. The Sports Special Edition, available as a sedan, adds a rear spoiler and chrome dual exhaust tips for an edgy twist on this old favorite. Many 2017 Honda Accord reviews also love the Sports edition's black leather seating with red contrast stitching. 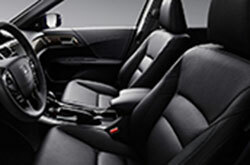 Inside, the Accord continues to impress with the latest convenience and technologies. Climate control, push-to-start and a wireless phone charger are just a few of the features the Accord has to offer. Standard models also include hands-free Bluetooth, HD radio and Pandora streaming. Higher trim models have advanced technology including a 7-inch display with Apple CarPlay and Android Auto capability, a satellite navigation system and HondaLink. 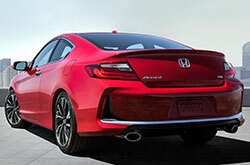 The 2017 Honda Accord Sedan and Coupe come standard with a 2.4-liter 4-cylinder engine that generates 185 horsepower (or 189 in Sport trims). Shoppers can choose a 6-speed manual transmission or a continuously variable transmission (CVT). A 3.5-liter V-6 engine with 256 horsepower and a 6-speed automatic transmission is available on higher trim models. As many 2017 Honda Accord reviews will note, this is an impressive engine upgrade for mid-sized sedans of this class. 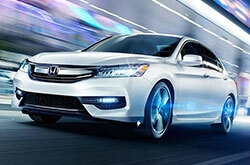 The Accord Hybrid features a 2.0-liter Atkinson-cycle 4-cylinder engine and a two-motor system. Together with its lithium-ion battery, the Hybrid produces 212 horsepower and an estimated 48 mpg combined. The 2017 Honda Accord in Phoenix is available with some of the most advanced safety features on the market. Standard features include vehicle stability assist with traction control, brake assist, hill-start assist, SmartVent airbags and a multi-angle rearview camera. Lane keeping assist, adaptive cruise control, collision mitigation braking and road departure alerts come standard on Touring and are available on most models. Honda Sensing and Honda LaneWatch, a live video feed from a camera mounted on the passenger side mirror, is also available on most models. 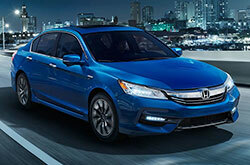 Want to Read More Info About the Honda Accord? 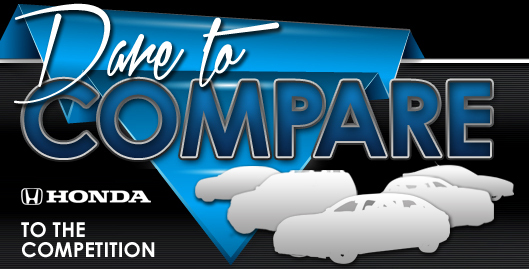 Don't settle for the 2017 Toyota Camry, Kia Optima and the Hyundai Sonata when in the market for new cars; visit Bell Honda to check out the likable 2017 Honda Accord in the Phoenix metro area. You could find that with its wealth of deviceful features and fun-loving persona, it suits the demands of your lifestyle needs. Utilize the materials listed in our review to see if the 2017 Honda Accord fits your needs and budget, then check out Honda current lease offers online! We're a neighborhood car dealer with a multitude of finance offers on new and late-model-year used car models, including the Honda Accord. We hope our well-researched 2017 Honda Accord review helped you find the specifications you need to make a sound buying decision. Fill out our contact form to schedule an appointment to test drive the Honda Accord in Phoenix, AZ, at Bell Honda and experience the stately model up close. Also, prior to your visit, you can see its polished interior from all vantage points by viewing our video recording.